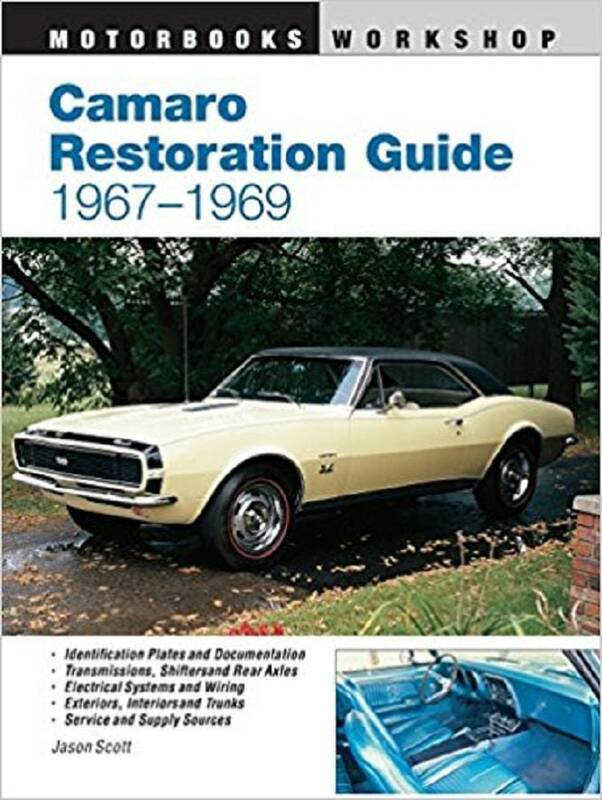 The ultimate book of knowledge to correctly restore your first-generation Camaro to its original factory specs! Hundreds of photographs aid in parts identification and correct assembly of your Camaro's engine, chassis, body sheet metal, interior and exterior colors and trim, electrical system, wheels and tires, decals and more. The technical reference for accurate restoration, assembly, refurbishing and show judging of your prized Camaro. The essential guide for authentically restoring the most sought-after of all Camaro model years. Includes coverage of the RS, SS, and convertibles. Jason Scott has over 20 years\u2019 experience overhauling muscle cars for hundreds of articles published in numerous magazines. He is the author of several MBI titles, including Camaro Restoration Guide 1967-1969; Original Camaro 1967-1969; and How to Rebuild and Modify Your Muscle Car.